Future Rides: I have a Coast to Coast ride in the planning stages. My dream ride would be from Key West Florida to Dead Horse Alaska. Interesting Facts: I’ve been riding for 39 years. I’m the President of the local chapter of the Green Knights Military Motorcycle Club. 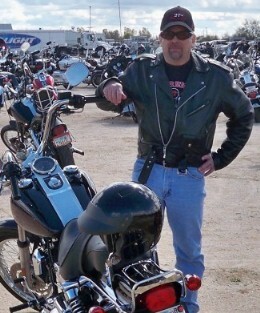 I’m also a Motorcycle Safety Foundation (MSF) RiderCoach as well as a motorcycle mentor and mentor instructor.